Young Solomon is infatuated with Balkis, the Queen of Sheeba, who has arrived to gauge his suitability for marriage. In his eagerness to impress her, he breaks his late father’s command and accidently releases the devil Asmodeus from his prison in the belly of the earth. Unleashing havoc, Asmodeus takes over the Kingdom of Kerusales and banishes Solomon away into the Arabian desert. Solomon arrives in Petra where he meets Princess Naama. Can Solomon and Naama succeed in putting an end to Asmodeus’ tyrannical thirst for power? And can Solomon and Naama find love along the way? As a celebrated acient figure, Solomon transcends religion. The Hebrews called him ‘King Solomon’, the Arabs ‘The King Suleiman’ and for the Ethiopians, he is known as the father of their King Menelik, who was born to the Queen of Sheeba (Ethiopia). 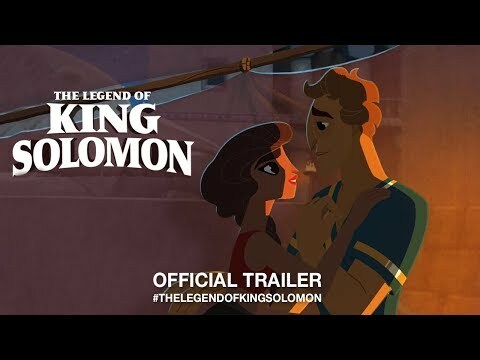 THE LEGEND OF KING SOLOMON is unique in showing a mutual respect between the diverse cultures of the Middle East and a shared heritage among its races and realms. The Legend of King Solomon was released on VOD 256d ago in the US. Notify me when The Legend of King Solomon is available.